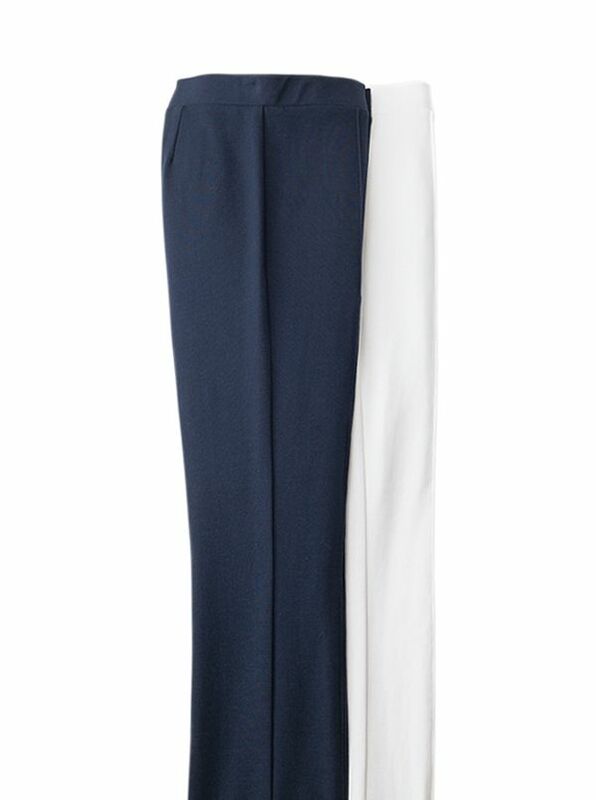 Ponte Knit Ankle Pants by Kal Rieman to match our Drawstring Pullovers W4300. Made in America of tightly knit 60% rayon/33% nylon/7% Lycra for a great combination of stretch shape-retention wrinkle-resistance and washability. 29 inseam.